Booked our removals from Yorkshire to Albox, Almeria, Spain and service was brilliant. Everything was delivered in perfect condition and at a fantastic price. If you’re looking for removals to Spain, you’re in the right place. AnyVan moves anything to anywhere in Spain. Part loads, car transport, furniture items or a full house removal service, we offer any moving service. 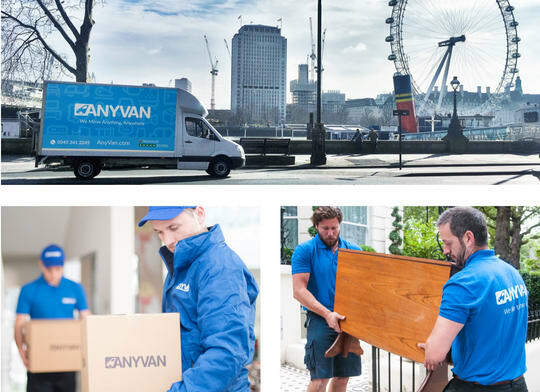 AnyVan will make your move to Spain as easy and cost-effective as possible, as we’re experts in removals from the UK to Spain, or from Spain to the UK. Our European removals service can handle all the logistics, packing, transport and heavy lifting. Whether you are moving house or to a new international office, we’ll make sure that you get there quickly and safely. Get an instant quote today for your move to Spain! With our trusted transport partners, you can rest easy knowing that the utmost care and attention will be paid to your belongings, vehicles and pets throughout your international journey. We have qualified and highly experienced European movers ready to take you to your Spanish property with expert care and at an affordable price. Moving to and from Spain, whether as a personal move or a work relocation, will give you a great deal more to consider than a standard moving day. Hiring and driving a moving van can be costly and dangerous even in the UK, but for a move to Spain you will also need to consider changing road laws, as well as rising costs for petrol and insurance. Spain offers a variety of top-tier destinations for British expats. The country offers gorgeous scenery, thriving culture and top-class health, transport and education services, as well as thriving communities of Brits ready to help you get settled. You may feel like a tourist at first, but you will soon come to love the quality of life on offer in Spain, not to mention the fantastic sunshine! Best of all, popular spots like Madrid, Marbella and Barcelona all have easy access to transport links, whether you are flying from the UK or looking for a European road trip adventure. Of course, it is not just prominent Spanish locations that draw in expats. Areas like Alicante have much lower living costs than most of the major cities. You can also enjoy a more laid-back atmosphere in the lesser-known Spanish cities - all the more reason to find some time to relax on a world-class beach. On paper, the process can seem overwhelming - but not for AnyVan! We offer extremely competitive pricing for top-tier moving services, ensuring that you can move to Spain safely even at a moment’s notice. Whatever your schedule, whatever you need to transport, we are ready to leap into action! AnyVan covers UK, Spain and the entire European continent. If you are looking for top-tier international removal services at great prices, don’t hesitate to get in touch! We’ve helped more thousands of happy movers relocate to Spain and we’d love to do the same for you. Our experienced European transport partners are ready to help you with transport, packing, storage, furniture assembly and more. Contact us today for a free quote (prices start from only £79).